This is the third in a series on the Scurlock photo archive. Read the others. The 1968 riots burned and economically destroyed many commercial districts throughout Washington. Riots came to U Street, too, and several properties which were obliterated have not entirely recovered from the devastation. After World War II, many of America’s cities faced population and economic decline as the nation suburbanized; Washington was certainly no exception. The retail corridors on 14th St NW, U St NW, and H St NE were already declining when riots hit American cities in 1968 following the Martin Luther King’s assassination. Addison Scurlock (1883-1964) was Washington’s most prominent black photographer and when the riots started in April 1968, Mr. Scurlock[‘s sons, who inherited his studio] at 9th and U Streets (where Nellie’s now stands) knew that [they were]he was witnessing history in the making. Mr. Scurlock The Scurlocks photographed rioters at the beginning of the riots and photographed some of the aftermath. The corner of 7th Street, Florida Avenue, and Georgia Avenue suffered from the mayhem. 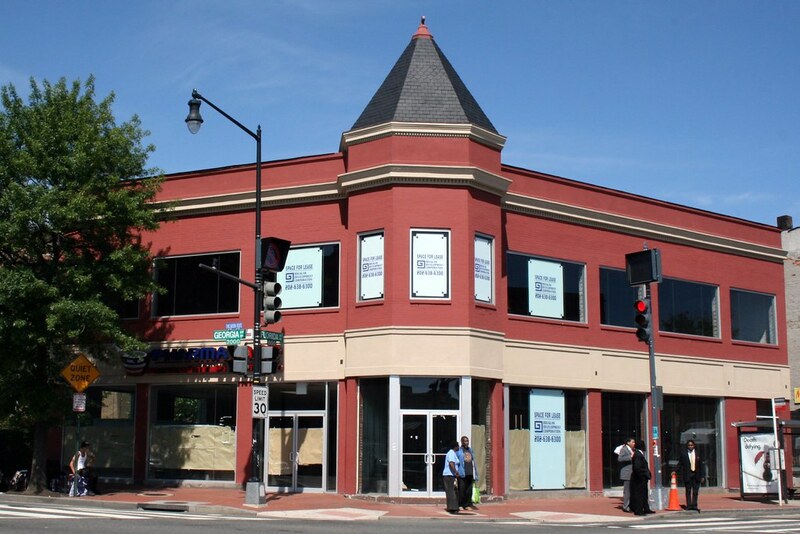 The southwest corner now houses a CVS and a parking lot on land that Howard University owns. 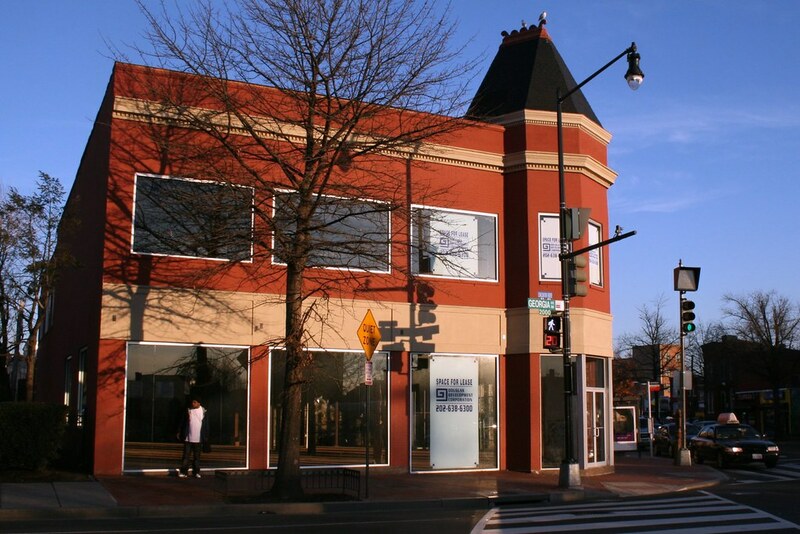 Beneath this store runs the Metro tunnel between the Shaw and U Street stations. Back in 1968, this site featured a strip of retail stores until the riot. One of the most striking Scurlock photos is of the northwest corner of 7th and T Streets NW, where the CVS currently stands. Rioters burned the buildings that stood on the site. 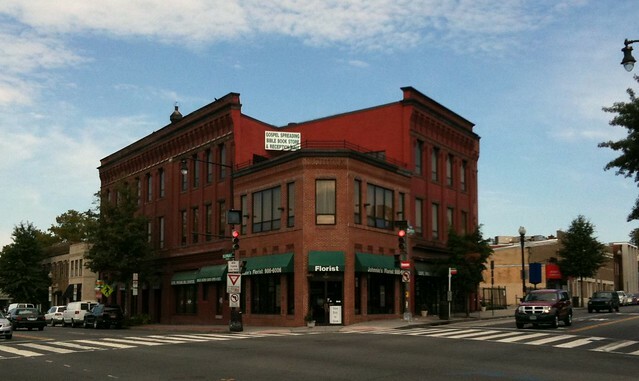 Only recently did I notice the roof terrace atop this building at the northwest corner of Florida and Georgia Avenues NW. It would make an excellent spot for restaurant seating. 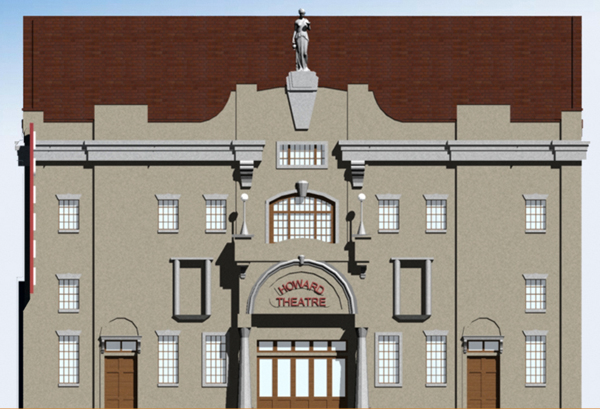 At Thursday’s ANC1B meeting, Chip Ellis, head of the Howard Theatre’s restoration, announced that the much-delayed renovations will start in the last week of August. The theater, when it opens, will host R&B acts, jazz, and Sunday gospel brunches in a venue that Ellis describes as “cabaret style”. Careful observers of the restoration sketch (above) will notice the statue at the top of the façade. Originally the theater featured a statue of Apollo playing the lyre; the new statue, fabricated in metal and lit with LEDs will be themed “the Jazz Man”. Mr. Ellis will return in a few months with design drawings. 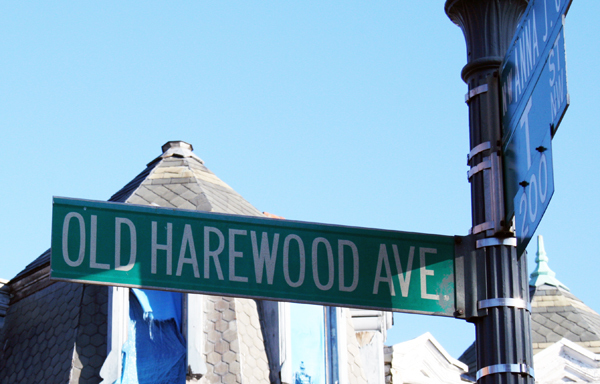 When asked about parking, Mr. Ellis stated that the restoration project plans to partner with Howard University to offer parking in one of its lots a few blocks away on Georgia Avenue. 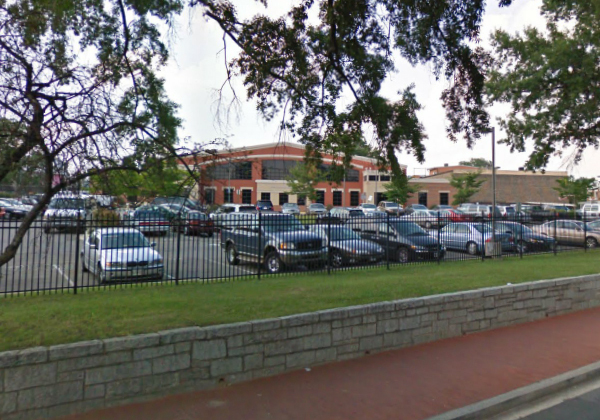 He also proposed the idea of building a garage on the southern portion of the parking lot of Howard University Hospital. 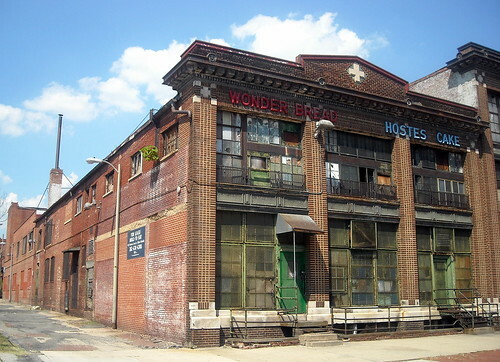 We appreciate Mr. Ellis’s efforts restoring the Howard Theatre, but we would not welcome a parking garage on Georgia Avenue. A garage would contradict the Office of Planning’s DUKE Plan, which specifically calls for ground-floor retail and offices on that site. A street-fronting garage would deprive Georgia Avenue of the streetlife that retail uses generate. Furthermore, since parking is a necessary component of driving; providing more parking will induce more driving, something the area suffers from already. TENANT FIT-OUT FOR PHARMACY SPACE. NO EXTERIOR IMPROVEMENTS. SEE DRAWINGS FOR COMPLETE SCOPE. Maybe the CVS diagonally across the intersection is relocating or maybe they’re simply getting more competition.